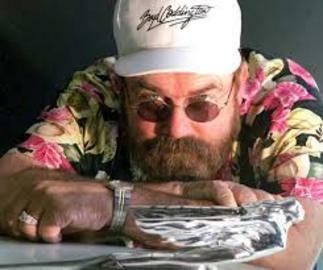 Boyd Leon Coddington was a automotive and hot rod designer, the owner of the Boyd Coddington Garage and Host of American Hot Rod T. V. show on the Discovery and TLC television networks. Boyd was a machinist by trade, working at Disneyland during the day and tinkering with cars in his home garage at night and on weekends. Boyd building cars when he was 13 and once managed a Union 76 gas station in Brigham City, Utah. Some of Boyds more popular creations include "Cadzilla", a hot rod that was considered a design masterpiece. Cadzilla was based on a 1949 Cadillac, was built for Billy Gibbons of ZZ Top. Other rolling pieces of art include Chezoom, Whatthehaye, The Smoothster, The Vern Luce Coupe, Jamie Muscleman’s 1933 roadster "The Roadster", a 1937 Lincoln Zephyr dubbed "Led Zephyr" and many more. Boyd Coddington Garage previous employees include Jesse James and Chip Foose, who went on to open their own shops and star in reality TV shows.